Malaysian Airlines has repossessed four planes which had been sold to Zimbabwe Airways, the ill-fated Air Zimbabwe proxy, informed sources said. Former President Robert Mugabe personally negotiated the acquisition of the four Boeing 777-200 planes which had been retired by Malaysian Airlines after one of the fleet disappeared without trace and another was shot down over Ukraine. Zimbabwe, seeking to build a debt-free airline under the pretence that it was privately-owned to avoid inheriting Air Zimbabwe's $300 million debt, negotiated to buy the four planes for a discounted $70 million. But aviation sources said on Wednesday that the planes, two of which are in Malaysia and the other two in the United States, had been repossessed after the Zimbabwe government failed to meet the terms of payment. "Here's how aviation purchases are structured. One, you have the seller; two you have the buyer; three you have the seller's bank; four you have the buyer's bank and five you have the owner. In the case of these four planes, Zimbabwe negotiated directly with the seller only to be referred to number three (seller's bank)," a source familiar with the deal told ZimLive. "Once the Zimbabwe government made a payment for two planes that you see branded, and made a commitment for the other two, they were then removed from the sales portal. But months down the line the Zimbabweans failed to collect what they had paid for. They failed to pay the balance after the commitment fees. "Storage and maintenance costs started piling up until this point. There are other costs that the Zimbabweans had not calculated that made the planes actually more expensive." Two of the planes, bearing registration 9M-MRL and 9M-MRM, were flown for checks in the United States last year, and are believed to be still in Kansas in the state of Missouri. Two others, 9M-MRQ and 9M-MRP, only conducted test flights in 2017 and remain in Malaysia. "The government of Zimbabwe wanted the planes delivered to Harare, I'm not sure what changed. What has happened though is that the planes were eventually all repossessed." Our source added that "no money was made" by Zimbabwe. "It was a huge loss." Transport Minister Joel Biggie Matiza could not be reached on Wednesday after travelling with President Emmerson Mnangagwa to cyclone-hit Manicaland. His deputy, Fortune Chasi, declined to answer questions on the planes, insisting only the minister could provide an update on the matter. Only in February, Information Minister Monica Mutsvangwa told a post-Cabinet briefing with journalists that the Ministry of Transport had been directed to "rebuild Air Zimbabwe by acquiring four Boeing 777 aircraft from Malaysia and to seek delivery of Embraer aircraft from the United States." The Zimbabwe government desperately wants to shore up Air Zimbabwe, which is now operating just one plane. The mishandling of the acquisition of the Malaysian planes, which took the back-burner after Mugabe was ousted in a military coup in November 2017, will invite fresh questions into the deal. Commercial pilot and aviation blogger Jerry Haas, writing on Twitter on Wednesday, said the four planes had already been sold on for $12.5 million each. 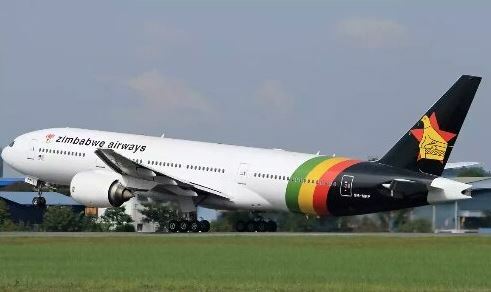 Zimbabwe Airways had been quoted $18,5 million for two of the planes and $16,5 million for the other two, according to former Transport Minister Joram Gumbo. "Unfortunately for Zimbabwe Airways or Air Zimbabwe they were repossessed for obvious reasons," Haas tweeted. Some aviation experts have argued that the four planes are not what Air Zimbabwe currently needs, pointing out to high fuel and maintenance costs. Instead, they have suggested smaller planes like the Brazilian-made Embraer ERJ as agile alternatives to ply regional routes to regrow the airline before it secures bigger aircraft to resume overseas flights. Malaysia Airlines Flight 370 disappeared on March 8, 2014, after departing from Kuala Lumpur for Beijing and Malaysia Airlines flight MH17 crashed and burned in eastern Ukraine after being struck by a missile three months later on July 17, leading to the airline retiring its entire Boeing 777 fleet. Although the twin tragedies were unrelated, it shook public confidence in the airline and a perception formed that the planes had "bad luck".